Peter Bartram’s career as a journalist saw him covering stories from places as varied as 700 feet down a coal mine to inside Buckingham Palace before he turned to crime writing. He’s interviewed people from cabinet ministers to crooks. (The crooks give the more honest answers, he says.) 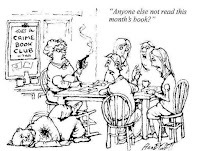 Before writing his first murder mystery, he authored 21 non-fiction books in genres including biography, current affairs and “how-to.” Peter's first mystery is Headline Murder. 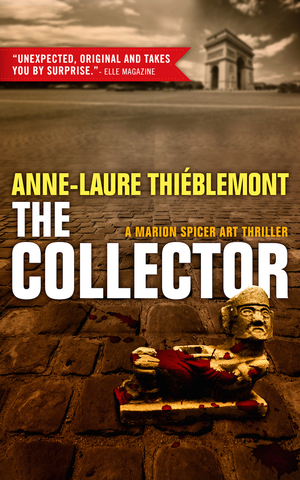 I first had the idea of writing a series of mysteries based on the adventures of a newspaper crime reporter years ago shortly after I’d begun my first job in journalism. It happened like this. As the most junior reporter on the paper, I’d been given the job of writing obituaries. Dead boring? Yes, I had to put up with that jibe from colleagues a dozen times a day. “Is the body copy ready?” was another one. 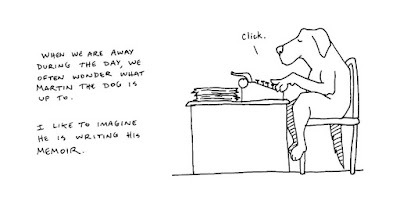 Anyway, one day the court reporter was off sick and I had to fill in. That day, one of the cases involved a tough-looking defendant who was found guilty and fined. Later, he accosted me outside the court and made it clear that if I wrote anything about the case, he had a crew that would make me regret every word. Not quite the Sopranos. But not the castrati, either. Anyway, a lifetime of writing for newspapers and magazines later, I came back to the idea of authoring a series of crime mysteries. At first, I wondered whether a career as a journalist would be a help or a hindrance. 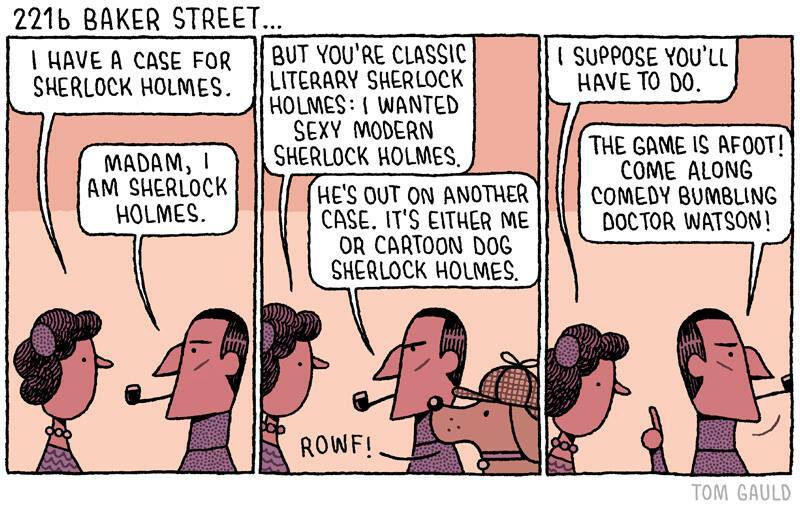 But when I came to look at the biographies of crime writers, I was surprised how many - most famously, Edgar Wallace - had been journalists before they turned to crime writing. And when I came to think about it a bit more, I realised that wasn’t surprising. After all, there are remarkable similarities between the kind of mind you need for crime writing and for newspaper reporting. A “low-bred curiosity” is what one newspaper colleague called it. When I trained as a journalist, practically the first thing I was taught was to ask what Rudyard Kipling called the “six honest serving-men” questions - what, why, when, how, where, who? And when I came to write Headline Murder I found I had to ask exactly the same questions when I constructed the plot. What was the crime? When and where was it committed? How was it done? Why was it done? 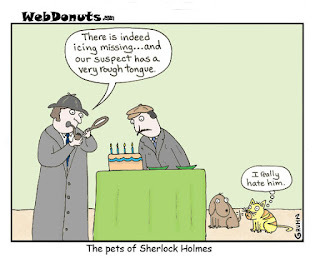 And, most important of all, whodunit? 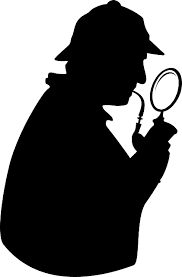 Whether reporter or crime writer, the questions are the same but the way you find the answers is different. As a reporter, you seek them in the facts. 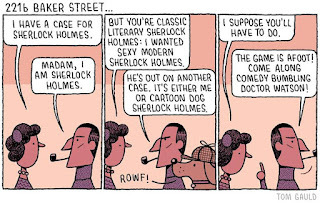 As a crime writer, in your imagination. Which may be stimulated by your experience. That’s certainly been the case with me. Mystery readers will know all about “police procedurals” - where the thrill comes from watching a cop solve the case step-by-step. I’d call Headline Murder a “newspaper procedural” because the main aim of the hero - Colin Crampton, the paper’s crime correspondent - is to get a “scoop” on who’s revealed as the murderer. So he has to be at least one step ahead of rival reporters. 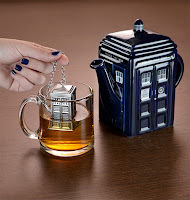 That creates a new source of tension in the story. Now the book has hit the stores, I’ve found it interesting to look back and pick out those incidents that were inspired by my own career and those that were pure imagination. But, then, Crampton is part avenging angel, part rogue. He knows every newspaper scam in the book - and is not afraid to pull them. So am I going to reveal which incidents are my own? As this post is being published in America, I think I better claim the Fifth! 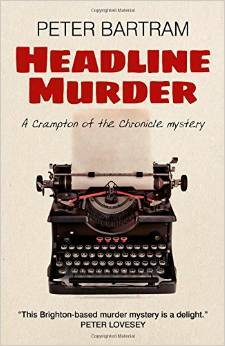 Headline Murder: A Crampton of the Chronicle mystery by Peter Bartram is published by Roundfire Books. ISBN: 978-1-78535-072-6 (paperback) 978-1-78535-073-3. It's August 1962, and Colin Crampton, the Brighton Evening Chronicle's crime reporter, is desperate for a front-page story. 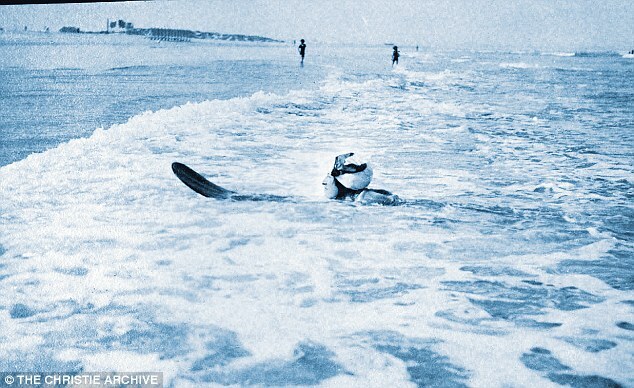 But it's the silly season for news – and the only tip-off Crampton has is about the disappearance of the seafront's crazy-golf proprietor, Arnold Trumper. Crampton thinks the story is about as useful as a set of concrete water-wings. But when he learns that Trumper's vanishing act is linked to an unsolved murder, he scents a front-page scoop. Powerful people are determined Crampton must not discover the truth. But he is quite prepared to use every newspaper scam in the book to land his exclusive. The trouble is it's his girlfriend, feisty Australian Shirley Goldsmith, who too often ends up on the sticky end when a scam backfires. Crampton has to overcome dangers they never mentioned at journalism school before he writes his story. Headline Murder will keep you guessing – and smiling – right to the last page. “Superbly crafted and breezy as a stroll along the pier, this Brighton-based murder mystery is a delight. Headline Murder is the real deal, giving a wonderful insight into local journalism and capturing the swinging sixties to perfection. Bring on the next Crampton Chronicle.” - Peter Lovesey, former chairman of the Crime Writer’s Association and multi-award winning crime mystery writer. 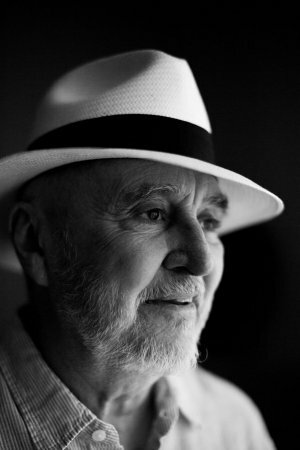 Wes Craven, writer-director of horror films including Nightmare on Elm Street and Scream, died today after a battle with brain cancer. He was 76. Craven was a longtime summer resident of Martha’s Vineyard, where he moved permanently three years ago before returning to Los Angeles for work and health reasons. Craven claimed to have gotten the idea for Elm Street when living next to a cemetery on a street of that name when growing up in the suburbs of Cleveland. The five Nightmare on Elm Street films were released from 1984-89. Similarly, Craven's Scream series was a box-office sensation. In those scare-'em-ups, he spoofed the teen horror genre. The movies frequently referenced other horror movies. The Davitt Awards (named in honor of Ellen Davitt (1812-1879) who wrote Australia's first mystery novel, Force and Fraud in 1865) are presented annually by Sisters in Crime Australia. The awards are presented for Australian crime fiction, by women, for both adults and young adults. Awards were announced last night. Congratulations to all! 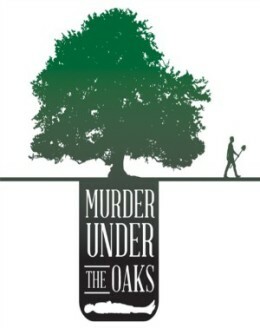 Going to Bouchercon, the World Mystery Convention, in Raleigh? The Bouchercon 2015 Schedule just went live. There's something for everyone! Schedule is subject to change and will be updated regularly. Be sure to check back. It's not too late to sign up for Bouchercon. Register here. Here's the list of books our Berkeley NorCal Mystery Readers Book Group will be reading this Fall. Feel free to read along and make comments! We meet every Tuesday night at 7 p.m. in Berkeley, CA. Book titles subject to change. The Ned Kelly Award Winners were announced at the Melbourne Writers Festival last weekend. 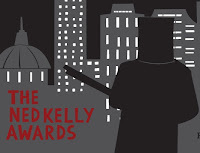 The Ned Kelly Awards are given by the Australian Crime Writers Association. I always read before falling asleep. 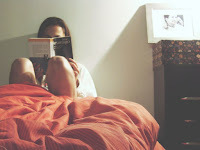 If I wake during the night, I also read and eventually go back to sleep. Hopefully the book won't be so engrossing that it keeps me up. 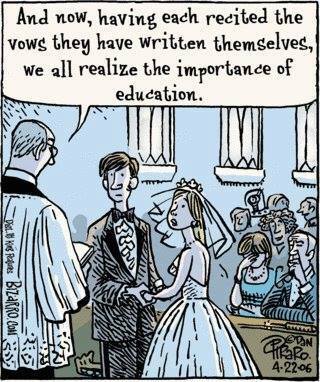 This has happened, but then I attribute that to the skill of the author! This article doesn't surprise me, but hopefully those who don't read before they go to bed will benefit from it...and we'll gain more readers. Yay! 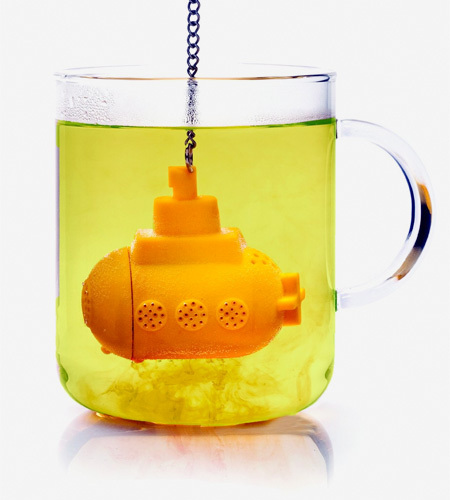 Thanks to Deborah Harter Williams for this link to Business Insider. In case you missed this story. Last Saturday 11 members of a book club were thrown off the Napa Valley Wine Train for being noisy and disturbing the other passengers. A few words about the train. First, it's very noisy. It's a vintage train that rattles and rolls as it heads up and down the valley. One needs to speak loudly if one is to be heard. Because the train is narrow, seating as a group is spread out. Second, for those not familiar with the Wine Train, it is not a commuter train. It's a social train where couples and groups come to dine, drink wine, and talk. The fact that a group of book club women were literally thrown off, met by police after being forced to disembark, and escorted in vans back to the starting point of the train is pretty outrageous no matter how you look at it. Worse, of course, is how the Napa Valley Wine Train chose to address the issue--first with a notice on their Facebook page (now removed) and later by hiring an outside publicist to deal with the incident. Damage done. It has been alleged that the incident was racially motivated (10 of the 11 women were African American). Accounts and pictures of the episode have been spreading across social media, hashtag #LaughingWhileBlack, while the women involved have questioned whether they would have been treated differently if they were not African American. 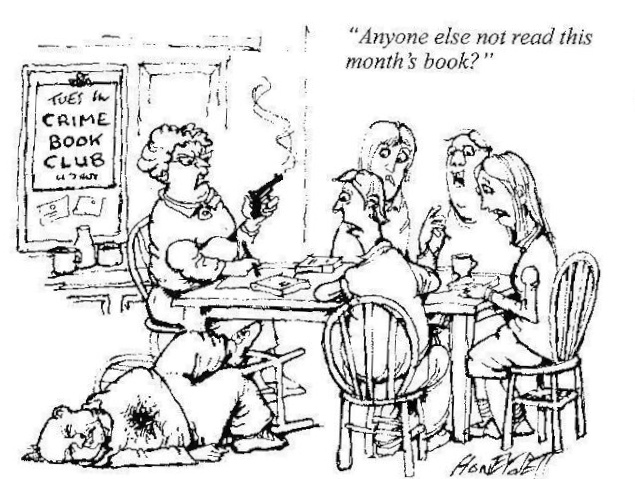 I know that our Book Club has gotten a bit loud in the past. 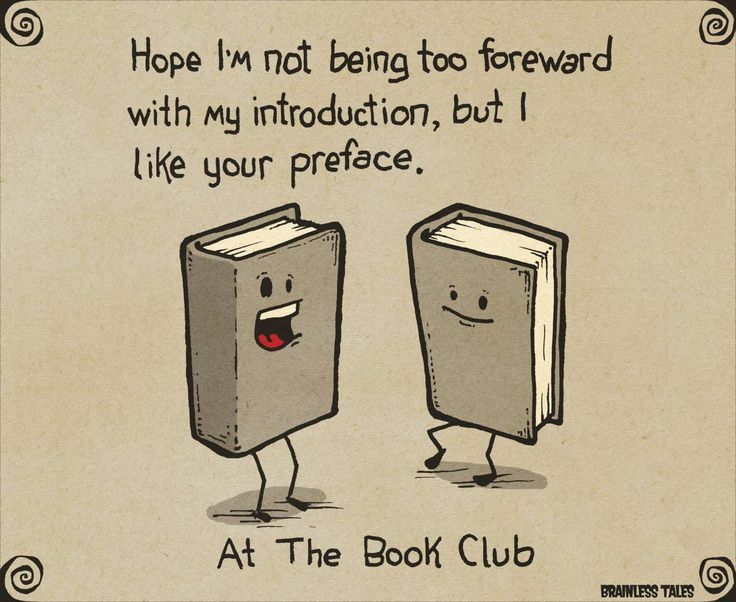 Booklovers are passionate about their feelings and opinions of books--and other subjects when together. 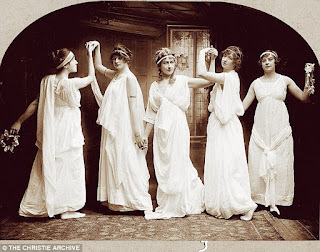 I don't know if the women were discussing a book or if they were just out for a good time, but I can't seem to get around the way they were treated. I have been on the wine train several times. The book club members were seated in the rearmost of six Pullman cars--four women sat at each of two tables on either side of the aisle, while three others occupied seats just ahead. So the women were seated on both sides of the aisle (it's a narrow train) and having fun. One has to speak loudly to be heard over the roar of the engines and clanking of the rails, especially if you're in a large group. The 11 women of the Sistahs on the Reading Edge Book Club were asked to lower their voices a few times before a staff member gave them a choice: "Pipe down, or get off at the next station." They were then marched through several cars of the train in order to disembark in St Helena. 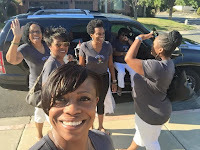 Lisa Johnson, who documented the trip on her Facebook page, said the club members, 10 black women and one white woman all dressed in matching T-shirts, were indeed noisy, but “normal for a group of 11 people communicating, laughing and enjoying themselves.” The book club has been together for 17 years, she said, with members ranging in age from their late 30s to 85. The club often does social events, sometimes at upscale restaurants, and has never been disciplined for noise, Ms. Johnson said. After several miles of “chitchatting” among the club members, Johnson said, the train’s maître d’hotel told the group, “Your noise level is a little loud, and you have to tone it down so we don’t make others uncomfortable." “We thought the purpose of the Wine Train was to have a good time and enjoy being with a large group. No one told us of any noise ordinance. If you get a group of 11 women talking and laughing, it’s going to be loud,” Johnson said. Later, the maître d’hotel came by a second time, warning the women they would be ordered off the train if they didn’t quiet down, Johnson said. “She said people were complaining, and I said, ‘Who’s complaining?’ And she said, ‘Well, people’s faces are uncomfortable,'” said Johnson. “At that point, one passenger nearby said, 'Well, this is not a bar.' We reacted, 'Yes, it is a bar, a bar on wheels.'" The expelled book club members will soon decide on their next steps, said Johnson, including whether to pursue a lawsuit or civil rights complaint against the Wine Train. So here are links to several different reports. The women in the book group did post on Facebook and other social media throughout the incident--and after, as did fellow passengers. I've always enjoyed the mysteries by Lenore Glen Offord, maybe because she was local, maybe because I like the writing and the stories. I also love her period settings. She was true to her locale and time (WWII and post-war period). I'm glad I have this Dell Mapback in my collection to celebrate Mapback Monday! The Glass Mask (1944) by Lenore Glen Offord, Dell #198 mapback edition, 1947. Lenore Glen Offord was a mystery writer and mystery reviewer in the San Francisco Bay Area. She won an Edgar Award for Outstanding Criticism in 1952. She published 12 novels, 8 of which were mysteries. 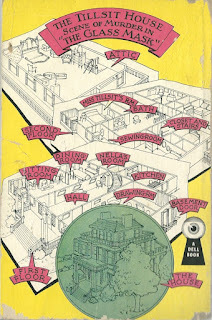 Read Gary Lovisi's article on Map Back Mysteries, here. Thursday, August 27, 7 P.M.
RSVP to attend & for directions. Space limited. Join Mystery Readers NorCal for a Literary Salon featuring international mysteries set in present day China and Thailand with Lisa Brackmann & Timothy Hallinan. Timothy Hallinan is the author of the Poke Rafferty Thrillers set in Thailand, the Junior Bender Mysteries, the Simeon Grist Mysteries, and a host of other novels and works! 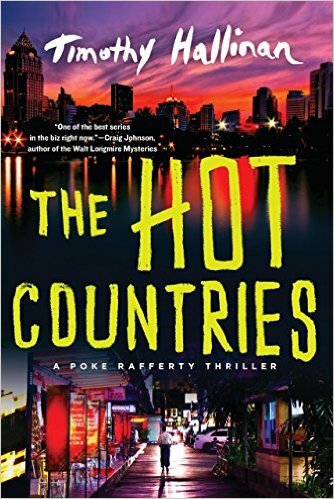 The 7th Poke Rafferty thriller, The Hot Countries, will be released in October by Soho Crime. 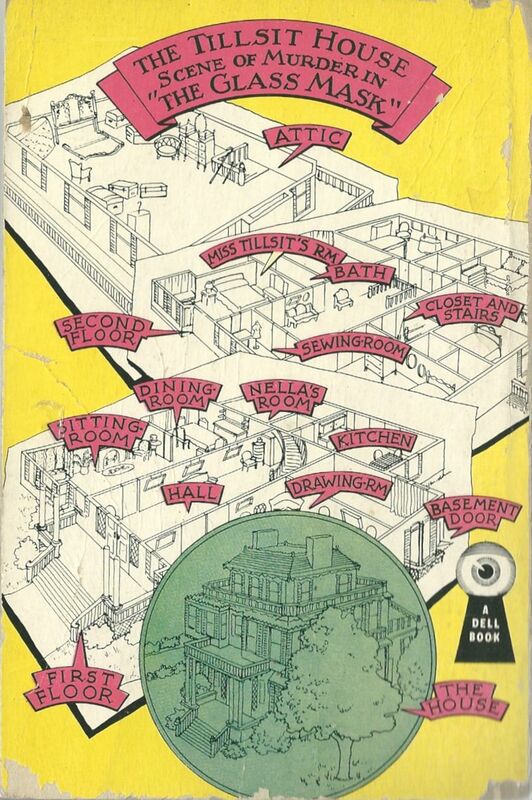 The 4th Junior Bender mystery, Herbie's Game, won the Lefty as Best Comic Crime in 2014. 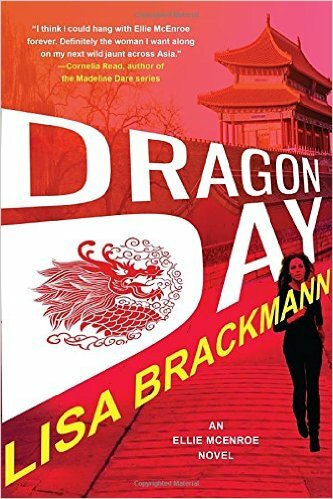 Lisa Brackmann is the author of the Ellie McEnroe series set in today's China. Dragon Day is the concluding volume of the series and is just out. Rock Paper Tiger, set on the fringes of the Chinese art world was nominated for the Strand Magazine Critics Award for best first novel. 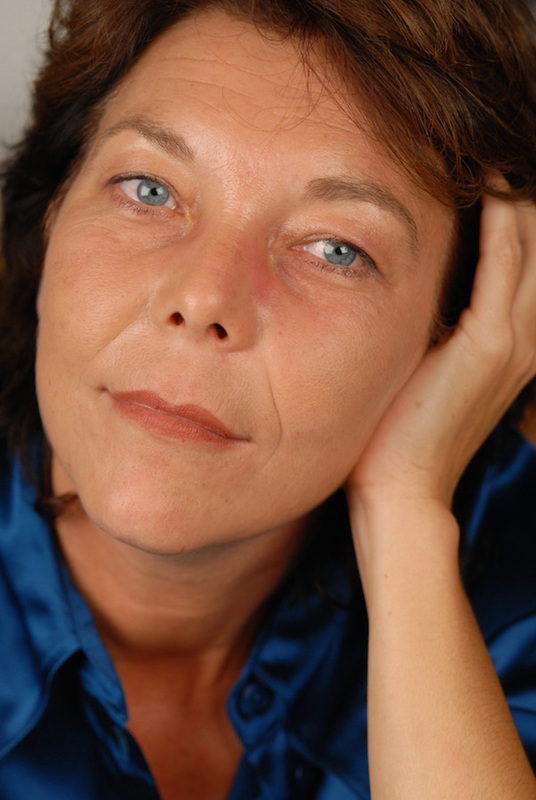 Her second novel, Getaway, won the LA. Book Festival Grand Prize and was nomianted for the T. Jefferson Parker SCIBA award. Potluck sweets & savories. Limited space. Make a comment below with your email to RSVP. I'm a big proponent of starting a story with a bang. 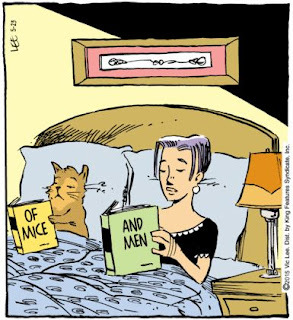 Maybe I've got ADD, but I'll often decide whether to read a book or a short story by its first line. If I'm feeling generous, I'll give it a paragraph. That's what Elmore Leonard was talking about in the first of his 10 Rules of Good Writing: "Never open a book with weather." I don't interpret this as a literal rule, but rather as a metaphor. 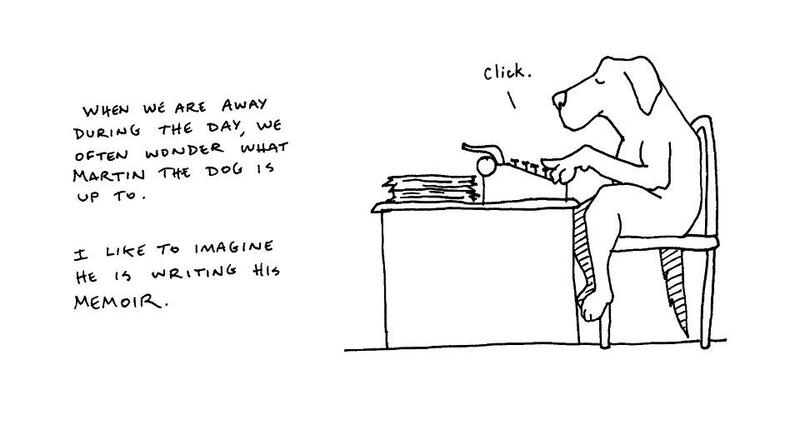 Don't open a story with background; jump right into your story and grab your reader by the throat. "For a sweet house, right on Santa Monica Beach, it was unbelievably easy to break into. Mickey found a window he could open with a putty knife, so the double-locked doors were a joke. And Lana disabled the alarm within the forty-five-second grace period before it would have triggered. They were in and no one knew. What a great way to kick off the honeymoon." The opening line provides the setup and leaves no doubt that we're headed for trouble. Our setting and two main characters are introduced in the next two sentences. And the paragraph concludes with a twist that both promises further surprises and reveals the tone. Right off the bat, you know this isn't your grandfather's Oldsmobile. "The Shadow Knows" starts off with a simple question: "Good Lord, Gus, what's got you so down on this beautiful Saturday morning?" I opened the story with this question hoping it would entice readers to continue on to learn what's bothering poor Gus. The question also sets up the rest of the tale. Gus is a superstitious man who believes his town groundhog is responsible for the long winters his town has suffered for years. The opening conversation about why Gus is so miserable this morning (snow, lots of new snow that fell overnight) prompts Gus to realize that if his town is ever going to have an early spring again, he needs to get rid of that groundhog. And the story is off and running. We immediately know something’s wrong. The main character, narrating in first person, realizes that he’s no longer alone in this lonely and remote corner of Death Valley. We also find out that he’s an ex-Marine, which implies that he knows how to take care of himself—but the question hanging over everything is: will he be able to in this situation? We also learn that he’s an American Indian. This hints at the backstory that’s revealed throughout the rest of the story. It also gives us a clue about the character of this man, his connection to the land and the legends and folklore that surround it, all of which comes into play as the story unfolds. And which, hopefully, intrigues the reader to want to see what happens next. Well, I hope that’s what the first graph says to people! The first sentence of the first paragraph helps set the tone of who Trey is and the image he wants to convey. He’s trying to relax and stay calm. He wants to look as if he is the master of his estate, that he is control. Also, Trey is a meth dealer who does not sample his own product, but he needs a strong dose of medicine to keep himself relaxed. The next three lines contrast Trey to his two methhead employees who are burning off excess chemical energy in a frenetic game of ping pong. Trey is looking down at them from his rocking chair, much like a king on a throne looking over his minions hard at work… but this is much more pathetic. He’s not proud of his employees, they are clearly second tier (or less) and by allowing unhealthy liberties, like snorting meth on the job, he shows a lack of leadership. The second to last sentence mentions Owen Seaver who is the focus of the story. The reasons why Owen needs to be hunted and the consequences of Owen’s actions will be revealed later. The final lines also show that Trey, even as a meth dealer, has a conscience, not wanting to harm innocent people. His conscience will be pummeled throughout the story as he battles between being a decent guy and a ruthless drug dealer. I always encourage students in my short story writing workshops to start as close to the conflict of the story as possible and to avoid extraneous intros—every word should count! 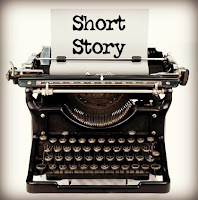 But I also don’t think short stories need to follow that old journalistic standard of a lead sentence that hits the five w’s or need simply to jump straight to the action, in media res. The first sentence of my story is a simple one: “‘How about a gimlet this time?’ I asked.”—a question which doesn’t do much beyond indicating that the narrator is talking to someone (a bartender? yes, as it turns out) and suggesting that this isn’t his first drink or else not his usual one (and maybe in the process that the narrator is indeed a regular? yes again—and more than that, a friend of the bartender). But ultimately that first sentence sets in motion a lot more. It’s part of a bet the narrator is making with himself; if Terry, the bartender, makes the gimlet with gin, then it’s the universe’s way of telling the narrator to do something he doesn’t want to do, but if made with vodka, then he’s free and clear—and bet after similar bet, the “yeses” keep pointing the narrator in a troubling direction, ultimately building the odds against both characters, both in terms of the life-or-death situation at hand and in a larger sense. 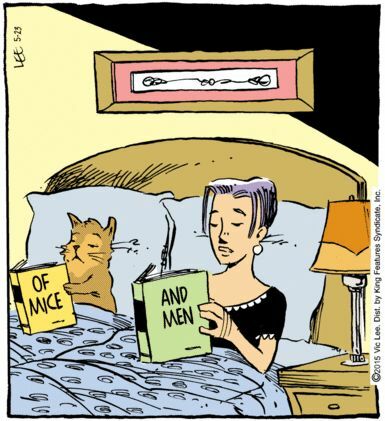 Both men are cursed, each in their own way, maybe right from the start. More Than 175 Authors are scheduled to participate in the Library of Congress National Book Festival, Saturday, September 5, at the Walter E. Washington Convention Center from 10 a.m. until 10 p.m. (doors open at 9). The event is free and open to the public. 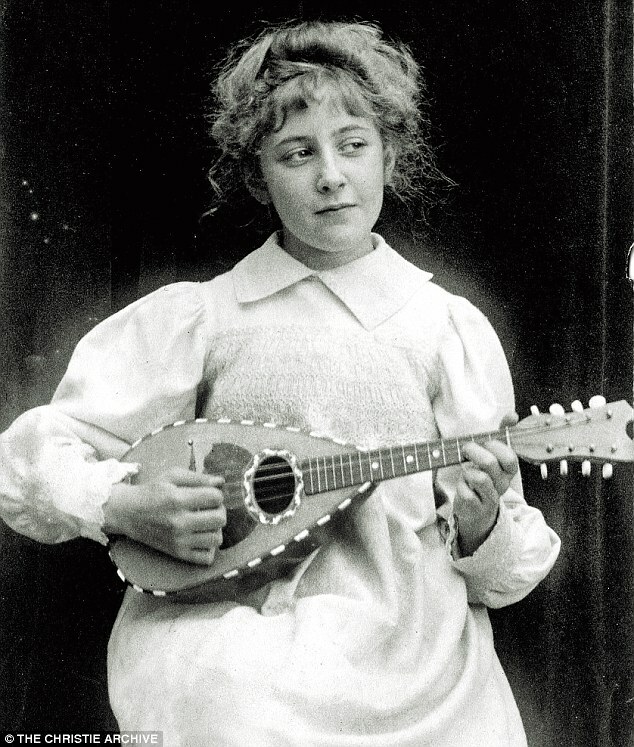 Agatha Christie, the Queen of Crime, was fiercely protective of her privacy, but now a new exhibition of unseen photographs reveals an unexpected carefree side to the world’s best-selling novelist. Agatha Christie rarely gave interviews and certainly never went on a book-signing tour. Now a new exhibition of unseen photographs reveals an unexpected carefree side to the world’s best-selling novelist. She was a surfer, a roller-skater and round-the-world traveller, as well as a car enthusiast and dog lover. ‘My image of Agatha Christie was basically Miss Marple before I started this project,’ admits Alice Graham, curator of the London show that then moves to Christie’s home town of Torquay as part of her 125th anniversary celebrations. ‘But as a young woman she was incredibly active and very stylish.’ Christie’s only grandson, Mathew Prichard, 70, who runs her estate, agrees. Sponsored by Absolutely Amazing eBooks, the award salutes the late author’s legacy as a beloved and influential mentor credited with helping and advising many aspiring writers. Writers from all over the country answered the call that invited award candidates to submit the first three pages of a finished, unpublished mystery manuscript. 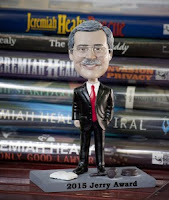 The winner claimed a book-publishing contract with Absolutely Amazing eBooks, free Mystery Writers Key West Fest registration, hotel accommodations for two nights, and a bobble-headed Jerry trophy. Submissions were judged by a committee headed by the late author’s fiancé, mystery author Sandra Balzo, along with film critic and publisher of Absolutely Amazing eBooks, Shirrel Rhoades; immediate past executive vice president of Mystery Writers of America, Ted Hertel; and Gary Warren Niebuhr, library director and author of numerous nonfiction works on crime fiction. 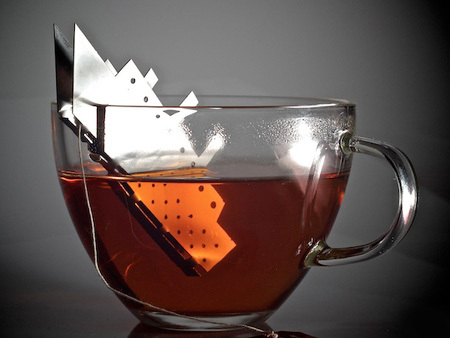 I don't know about you, but I enjoy a good cuppa when reading a mystery! 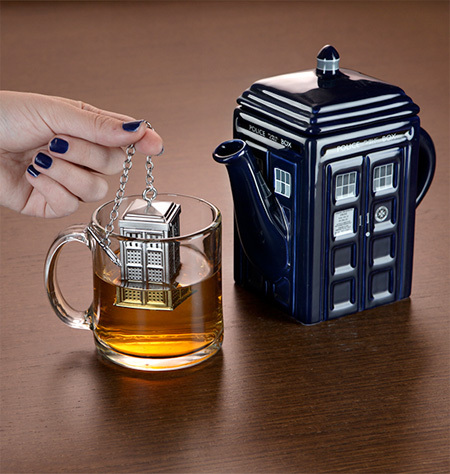 Although I do use Barry tea bags, I also love loose tea. These unique tea infusers are so much fun. 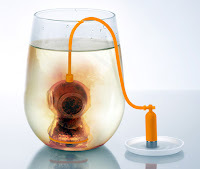 Most are available on Amazon, but you'll find them elsewhere. Just do a search. The Golden Crown Literary Society announced winners of the 2015 Goldies, which are "dedicated to education, promotion and recognition of lesbian literature." The 11th annual awards ceremony "brought together lesbian fiction pioneers Rita Mae Brown, Lee Lynch, and Dorothy Allison, all sharing a stage for the first time," the Advocate reported. Complete list of Goldie Winners HERE. 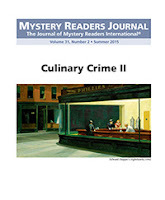 The next issue of the Mystery Readers Journal (31:3) will focus on crime fiction set in Scotland. We're looking for articles, reviews, and Author! Author! essays. Author Essays: 500-1500 words, upclose and personal, about yourself, your books, and the "Scotland" connection. Think of it as chatting with friends and other writers at the cafe or bar. Add a title and 2-3 sentence bio/tagline. I first heard about bog bodies when I was a graduate student studying Celtic Art. 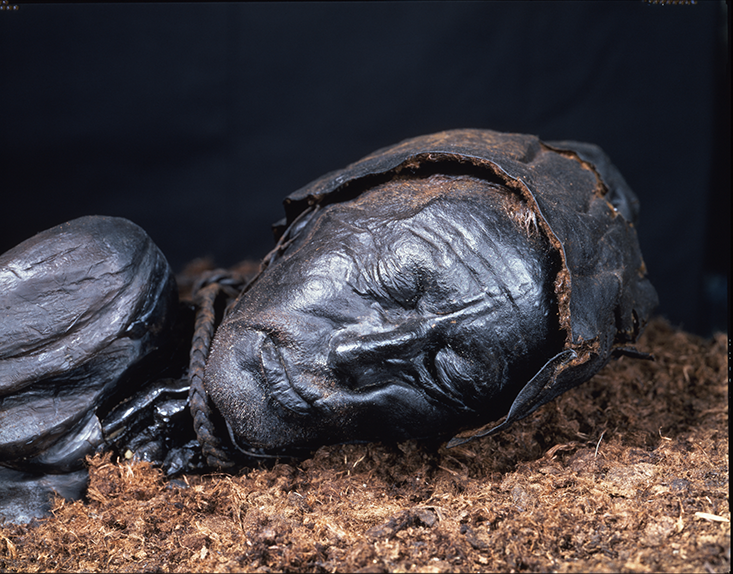 Bog bodies are a great source of historical, scientific, anthropological, and art knowledge. Since first studying bogs and what they can show us, I've always told my partners that when I die, I want to be thrown into a peat bog. Not an easy task here in California that is devoid of an ample number of peat bogs. Alaska has many, but then one would have to cross Canada, another country, with a dead body in tow. Law enforcement might frown on this. I guess there might be a lot of bogs in Canada, but I'm a U.S. citizen. 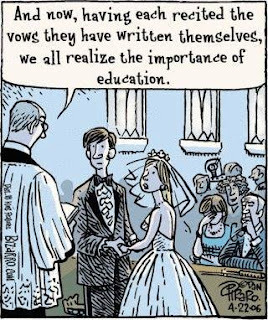 At this stage in my life, I'll have to forgo this interesting internment...and let's face it, of what value to future academics and scientists would I be, anyway? Perhaps this is too gruesome a subject for some, but not for me. 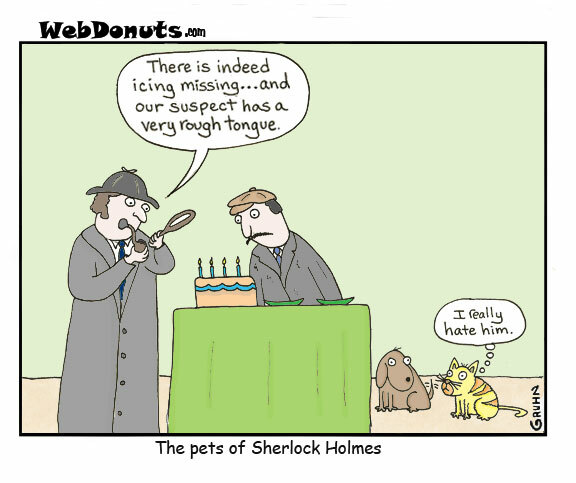 I read a lot of mysteries and true crime. If you like mysteries, you'll find this article fascinating. Ms French elucidates 5 of the most noteworthy--and cringe-worthy-- cases. 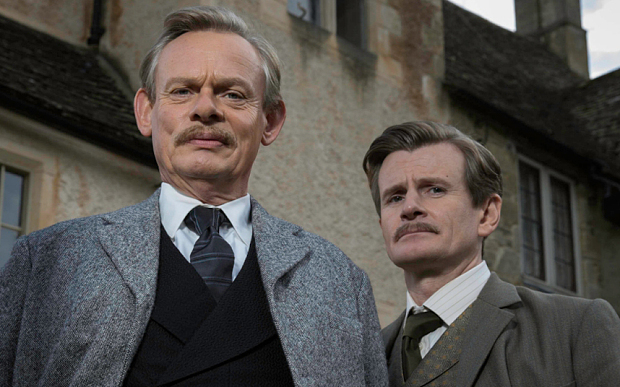 Martin Clunes (Doc Martin) stars as Sir Arthur Conan Doyle, creator of Sherlock Holmes, in a three-part MASTERPIECE Mystery! adaptation of the novel by Julian Barnes based on an actual event. Outraged by injustice to an Anglo-Indian solicitor, Doyle uses the methods of his own fictional detective to get at the truth. Also starring are Arsher Ali (The Missing) Charles Edwards (Downton Abbey), Hattie Morahan (The Bletchley Circle), and Art Malik (The Jewel in the Crown). Arthur & George will be available to view online at pbs.org/masterpiece beginning the day after broadcast for a limited time. The Coen Brothers are among our most literary-minded modern filmmakers; their stylish dialogue and Swiss-watch plotting often feels as much of the printed page as the celluloid frame, and films like Blood Simple, Miller’s Crossing, and even The Big Lebowski wear their lit influences on their sleeves. But the Coens have done surprisingly few straight-up adaptations: there’s their Oscar-winning take on Cormac McCarthy’s No Country For Old Men, and 2010’s True Grit, and that’s about it. 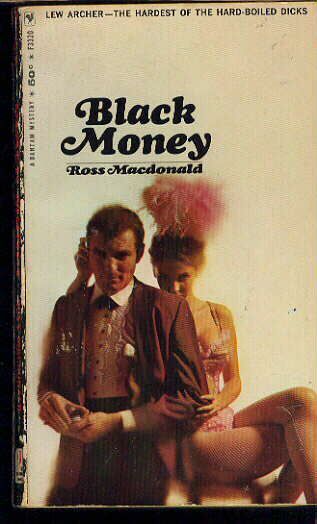 But Deadline is reporting they’ve been hired by Warner Brothers to write and possibly direct a film adaptation of Ross Macdonald’s 1966 crime novel Black Money, a match-up that sounds very promising indeed. 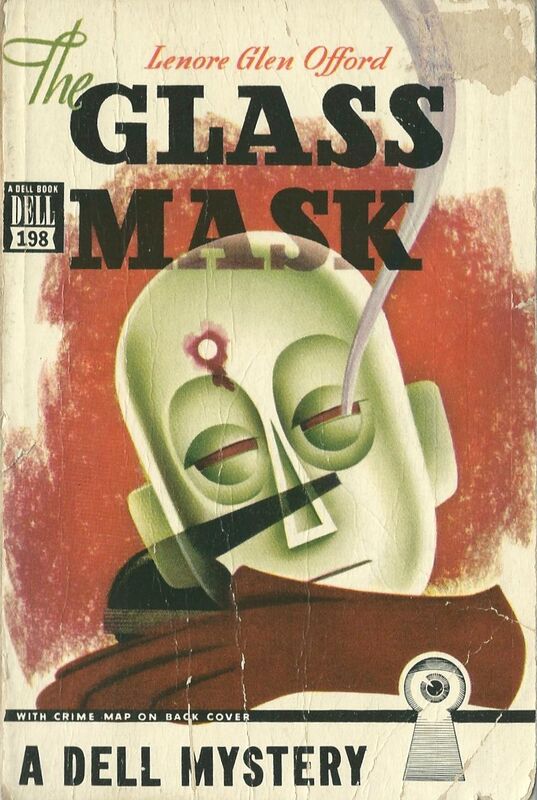 Macdonald—the non de plume of writer Kenneth Millar—was a master of hardboiled California crime stories, best known for his series concerning Lew Archer, a tough but honorable private eye. Two of those novels were adapted into the Paul Newman vehicles Harper (1966) and The Drowning Pool (1975), but aside from those films and a couple other Millar adaptations, his work hasn’t made it to the big screen all that often. 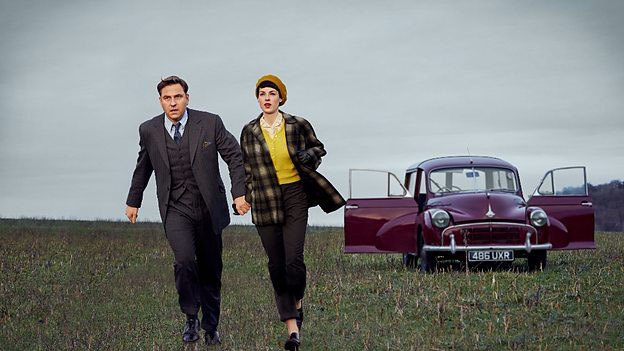 Adapted from the series of “Tommy and Tuppence” novels by Agatha Christie, the new BBC and Acorn TV mystery series premieres on both sides of the pond this September to coincide with the 125th Anniversary of Dame Agatha Christie’s birth. The first two episodes debut on Thursday, September 3, 2015, and a new episode will be added every Thursday, through the sixth and final episode on October 1st. David Walliams (Little Britain, Big School) stars as Tommy Beresford and Jessica Raine (Call the Midwife, Wolf Hall) stars as his wife Prudence 'Tuppence' Cowley. Matthew Steer (Siblings) costars in Agatha Christie’s Partners in Crime, and James Fleet (Outlander) guest stars. Set in 1950s Britain, the mysteries are filled with period atmosphere and playful banter between Agatha Christie's crime-fighting couple. The duo tackles two cases based on the Agatha Christie novels The Secret Adversary and N or M? in the two three-part mysteries. Available at Acorn.TV and on a variety of devices. I posted this article a few years ago, but I think it's a good time to revisit it! It's always a good time to save books. I live in the San Francisco Bay Area on top of a hill in a very foggy area. Needless to say, mildew is the enemy of someone like me who collects books. And, that's not even mentioning the 11,000 or so books stored in Bodega Bay... The Bay part is the tip off in both cases. Lots of humidity, in this case in terms of fog. This article on Biblio.com is particularly relevant to my library, not because of new mildew but mostly for the books I buy at flea markets and used bookstores. In the past, I've put books in the freezer if I suspected mildew, but this article has more to say and great directions for removing mold and mildew. 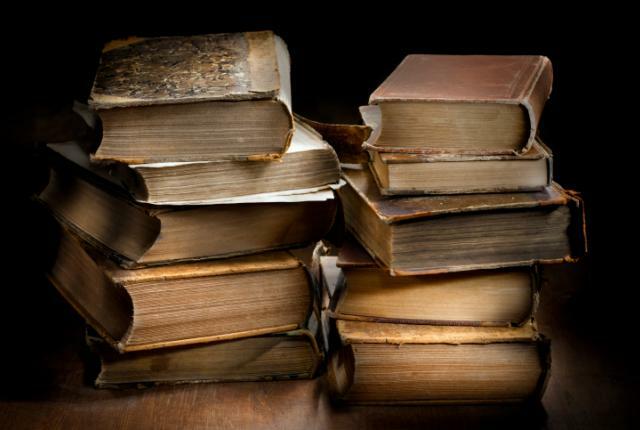 Remember, mold and mildew live off of organic material (leather, wood, paper, cloth) and over time their presence can weaken the structure of the book, stain the cover and pages, and prompt negative effects in your health, especially for folks with allergies or asthma. It is important to identify the active growth of mold and mildew and remove it before it spreads through your entire library! Mold: Mold is a type of fungus that can and will grow on anything, as long as it can find a food source and the appropriate humidity for its development. It can develop in patches of threads, thick spider-webs or fuzzy spots, and it appears most often on natural, porous surfaces such as cotton, linen, silk, wool, leather, and paper. 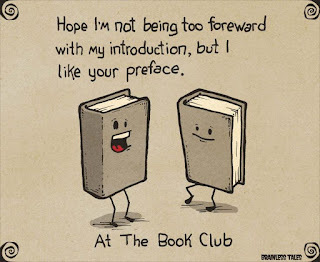 It reproduces by sending out clouds of spores, hence it’s ability to “leap” from book to book. Mildew: Mold is often accompanied by mildew. While they share some similarities, they are not the same kind of fungus. However, any moldy or otherwise soiled surface can provide a nutritive source for mildew, and beyond that it requires the prime temperature and humidity level to make it appear and spread like wildfire. If you identify mold or mildew on any of your books, magazines, or paper ephemera, remove them from your collection immediately! Go here for the remedies.